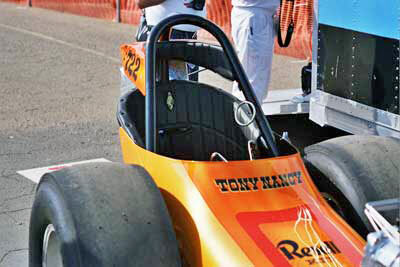 Tony Nancy, whose beautiful cars and famed upholstery work on machines for street and strip made him a revered name in the motorsports world, passed away November 11, 2005 after a long illness. 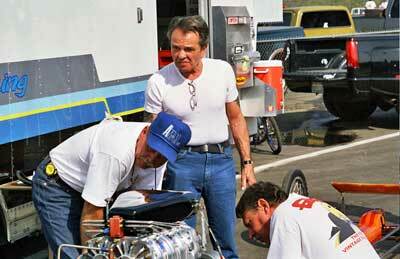 It was a huge loss for friends, family and the sport of drag racing. 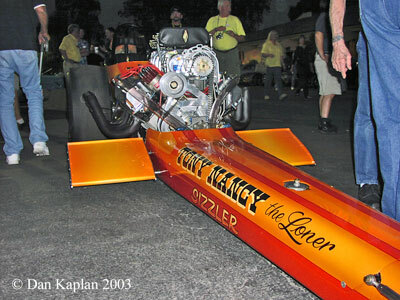 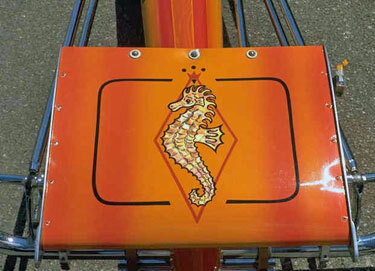 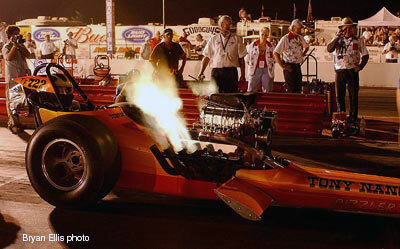 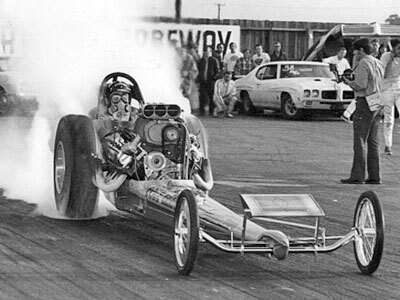 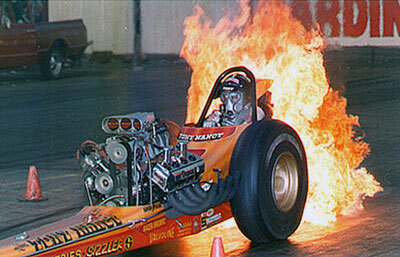 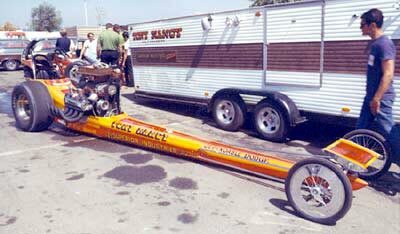 With the help of Harry Hibler and Bill Carter, one of Tony's last projects came to fruition at the 2003 California Hot Rod Reunion when his immaculately restored first, last and only front engine Top Fuel dragster led the way for Cacklefest IV. 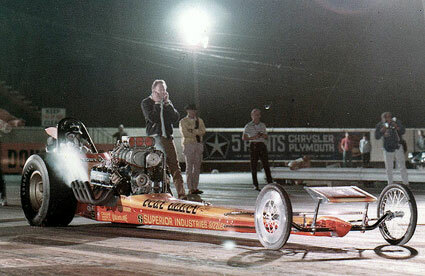 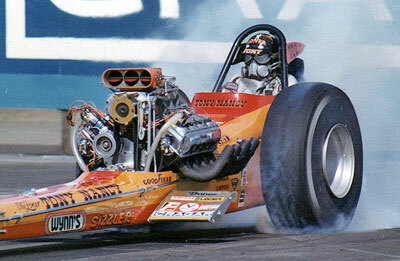 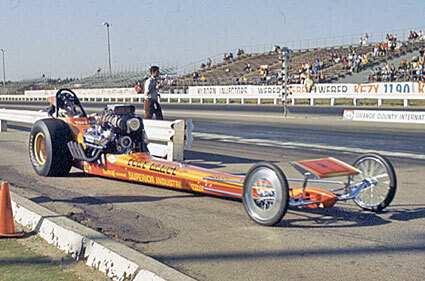 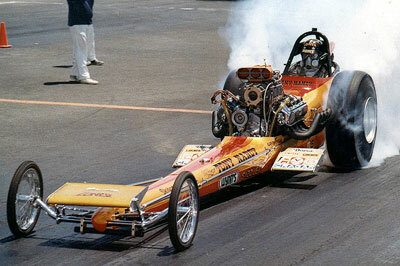 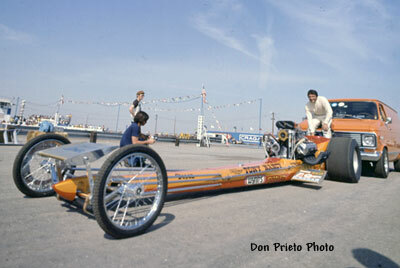 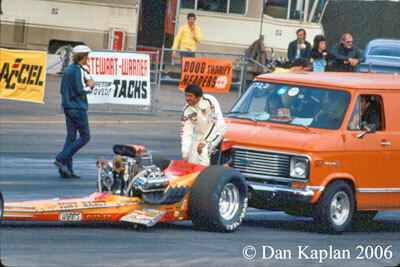 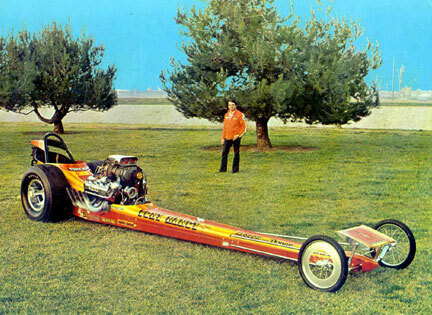 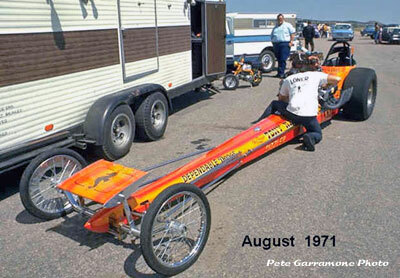 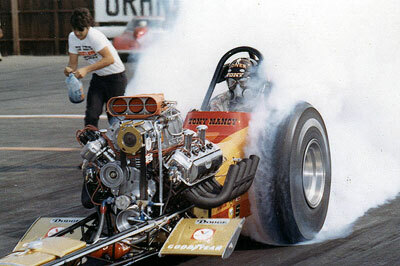 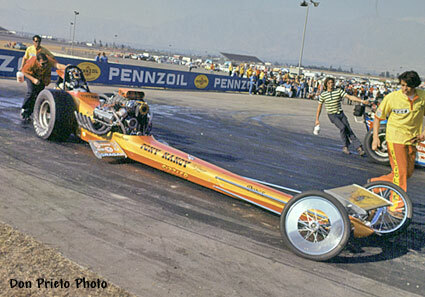 Nancy, whose nickname was "The Loner" based on his ability to practically field a car by himself, entered the Top Fuel ranks with this car in 1970 and was runner-up to Larry Dixon at that year's Winternationals. 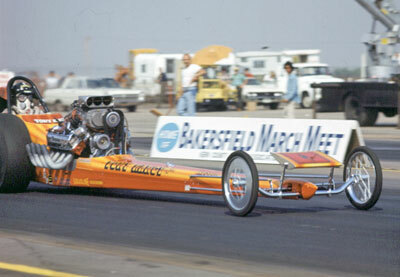 Two months later, he defeated a strong 32-car field to win the prestigious Bakersfield March Meet. 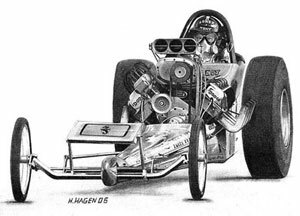 He would go on to have success with this car until he retired it in early 1972 and switched to the rear engine configuration. 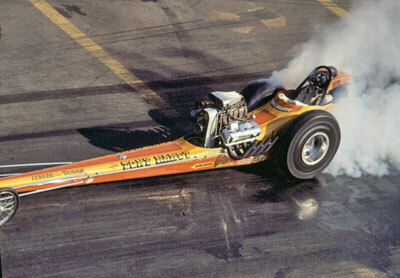 Nancy set at least one NHRA record or Drag News 1320 mark in every class in which he competed, which encompassed cars such as a V/Fuel Dragster in 1957 through Top Fuel, where he held the national speed record at 236.22 in 1971 with this car. 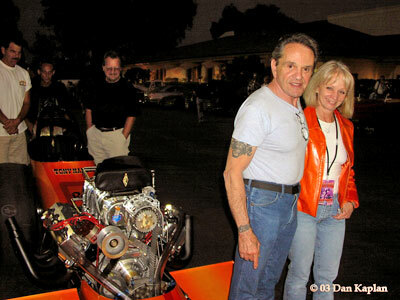 Nancy retired from racing after the 1976 March Meet to concentrate on Tony Nancy Enterprises, his famed Sherman Oaks, Calif., upholstery business that beautified the interiors of everything from Ferraris to Top Fuel dragsters and the cars of many Hollywood stars, including Clark Gable, James Garner, Steve McQueen, and Burt Reynolds.He was honored with a Lifetime Achievement Award at the 1997 California Hot Rod Reunion. 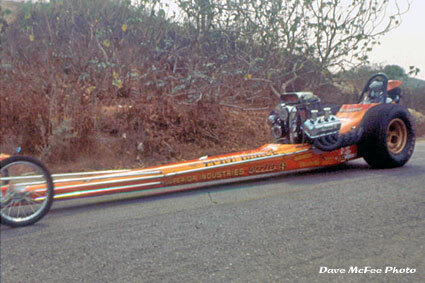 At the head of the push down road at OCIR in 1970. 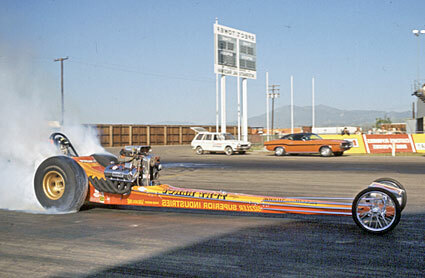 Tony not only had first class equipment and amazing cosmetics but he was also one of the great showman as seen by this fire burnout at Irwindale in 1970 (above) and OCIR (below). 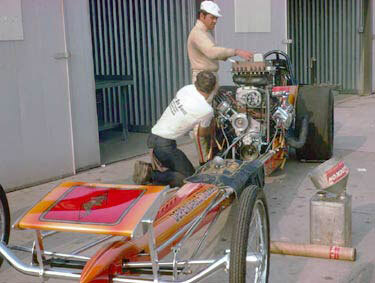 Warming up on the back push road at Irwindale in 1970. 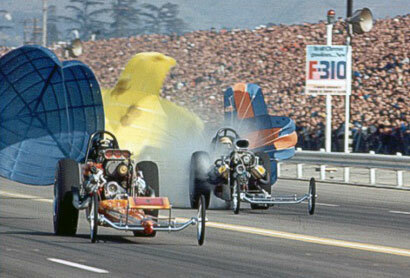 This shot has a lot going on. 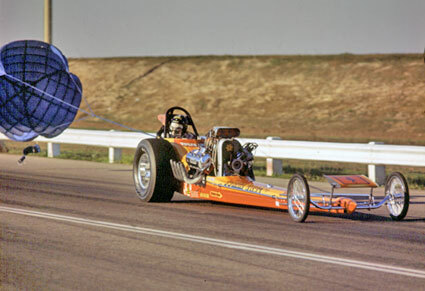 Nancy going into the lights at Fremont in 1970 has already ripped his goggles off and is reaching for the chute. 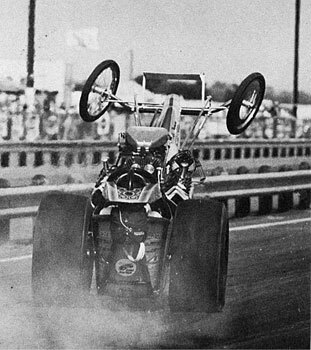 Tell tale signs of at least one rod exiting the block can be seen below and above. 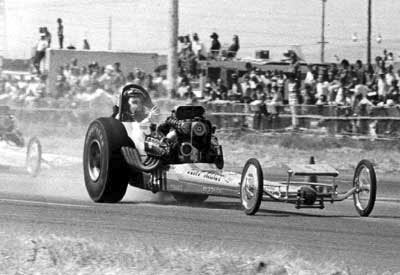 This was one of the fun things about the front engine cars that made them more interesting to drive. 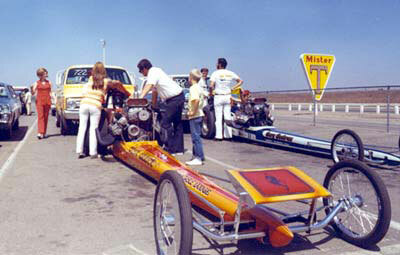 In the staging lanes and in the pits at OCIR in 1970. 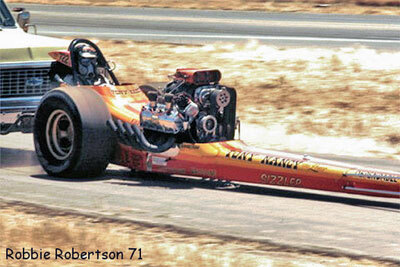 OCIR, 1971 - In a last ditch attempt to compete with the rear engine cars Tony added canard wings. 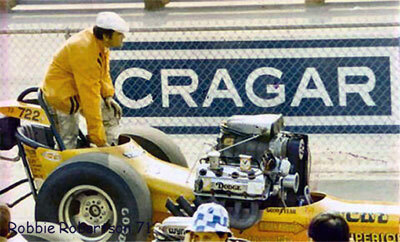 OCIR, 1972. 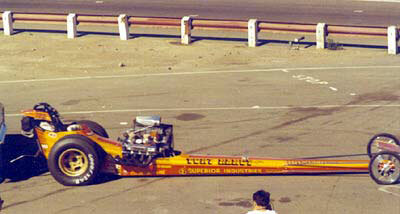 This was one of the final appearances of the car. 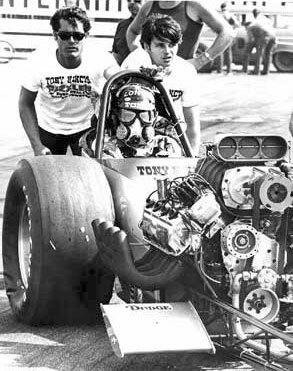 Tony had removed the nose to save weight. 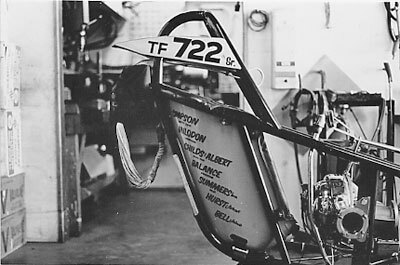 The Woody car (less Hanna body) in Nancy's Sherman Oaks shop in 1972. 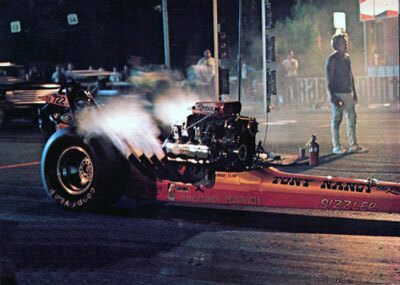 There is no doubt that Tony had several reasons for wanting this car restored... Cacklefest was established and in full bloom and he knew he was living on borrowed time. 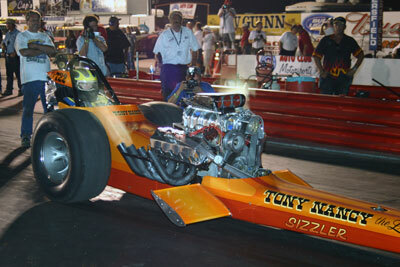 In 2002 Tony found the car in Alaska in pretty good condition. 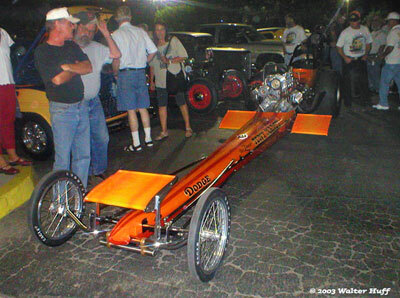 Still having most of the parts needed up in the rafters, Nancy did most of the restoration himself with help from Harry Hibler, Bill Carter (matched the original paint job he did in 1970), Ed Pink and other friends set out in earnest to restore the 1970 Woody car to its original beauty. 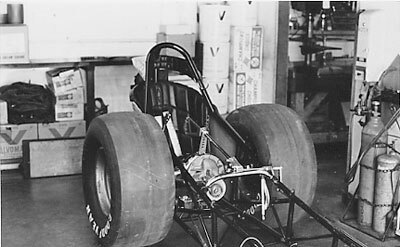 The only part that he did not have was the rear winglet for the back of the cage (the most famous part in by many opinions) and that was recreated by Steve Moal. 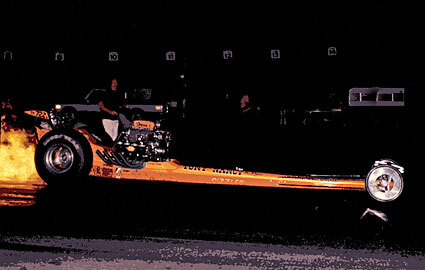 Unfortunately there was no photographic record kept of the process but the end result is stunning. 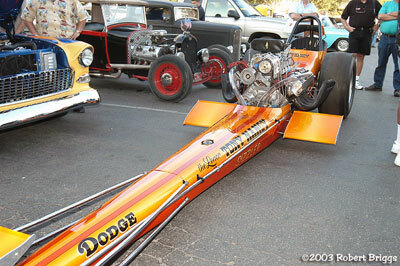 The car made its official debut at the Double Tree Hotel in Bakersfield on Friday as a featured car for the Honorees Awards Ceremony. 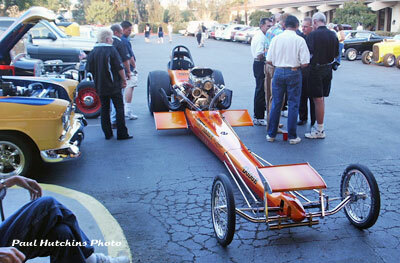 Tony and wife Marjorie at the Doubletree Hotel. 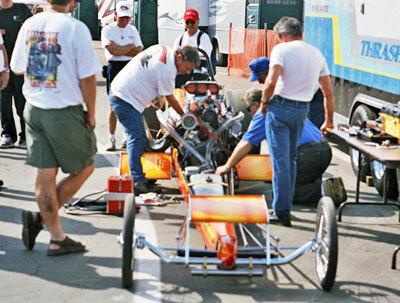 The car was prepped for Cacklefest by Kent Terry, Bill Shilling and crew. 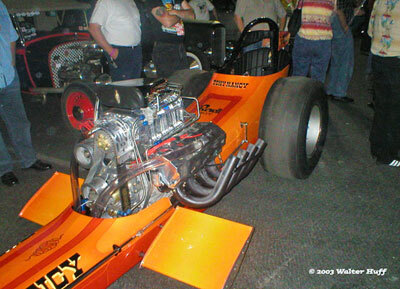 To lead off Cacklefest IV Kent Terry hit the starter and the 426 Ed Pink hemi in Nancy's beautiful restoration came to life. 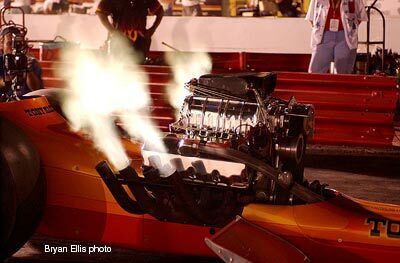 It would be the first of 32 cars to eventually fill a full eighth mile of the Famoso drag strip. 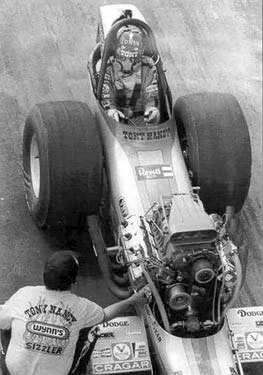 Tony's health did not permit him to do a push start. 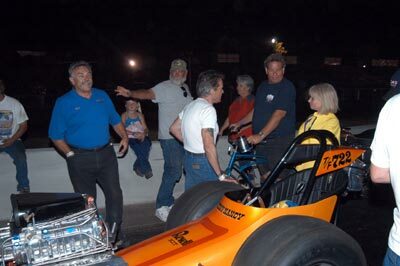 Tony and wife Marjorie post Cacklefest. 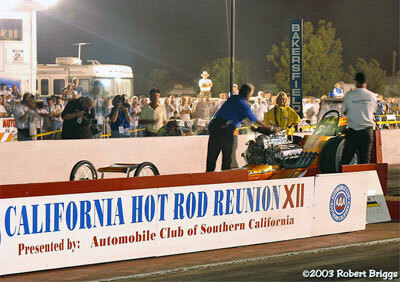 This would be the cars first and only public appearance and Tony's last event. 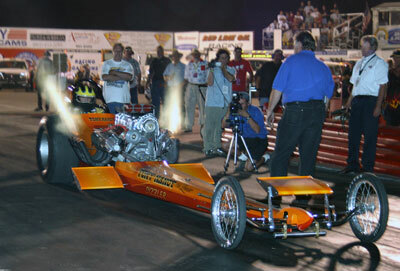 *After Tony's passing the car was sold to Dan LaCroix in North Dighton, Mass. 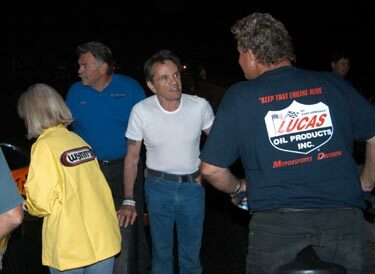 At this time we have heard nothing about his plans for future appearances. 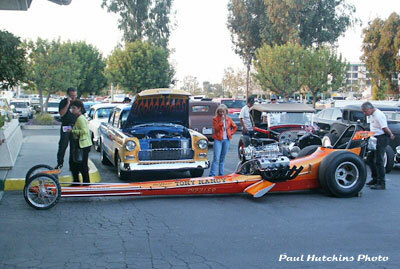 Hopefully it will resurface on the Cacklefest scene sometime in the future as its too pretty a car to just look at.